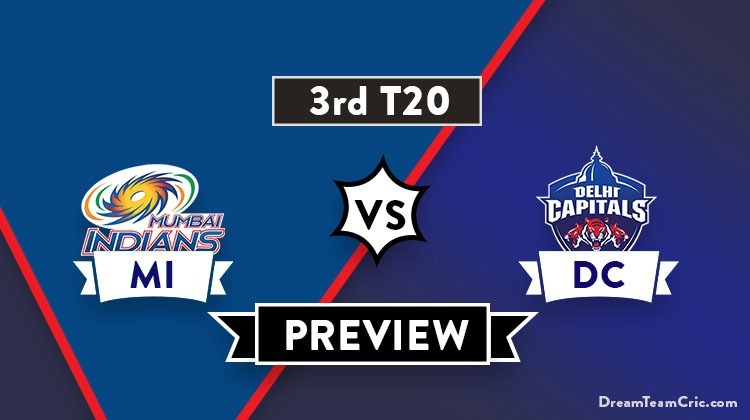 The second match of the first double-header of Indian Premier League 2019 will be played between Mumbai Indians and Delhi Capitals. 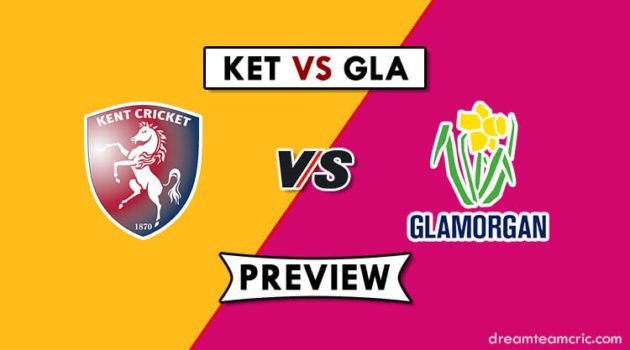 We are covering MI vs DC Dream11 Team Prediction, Preview and Probable Playing XI for the T20 match. The match is to be played at Wankhede Stadium, Mumbai. Fan-favourite Mumbai Indians had a lacklustre performance in IPL’18 and failed to qualify to playoffs. However, This year they have made a few changes in the squad and will hope to freshen up things to perform as per fan expectations. Rohit Sharma has decided to come back to his original position i.e. opening the innings and will be the biggest threat to opponents. They have many other destructive batsmen and all-rounders available to make a formidable batting order. Their main problem will be their pace attack which has lost the options of Milne, Malinga and Behrendorff for the initial part of the season with former being ruled out for the entire season. The onus will be on Jasprit Bumrah and Hardik Pandya to take responsibility. Delhi Capitals also had a poor season last year and ended on the bottom of the points table. They have made few strong additions this year and have prepared an inspiring squad involving a bunch of young Indian talent as well as renowned T20 specialists. They have one of the best batting department involving likes of Dhawan, Shaw, Iyer, Pant along with Ingram, Munro and Sherfane Rutherford. Their bowling department is also looking solid with lethal pacers like Rabada, Boult and spinners like Sandeep Lamichhane, Amit Mishra and Axar Patel. They are surely the underdogs of IPL 2019 and will come all guns blazing to put an early impression in season. MI VS DC, 3rd T20, Indian Premier League, 2019. Rohit Sharma (C), Quinton de Kock, Evin Lewis, Ishan Kishan, Suryakumar Yadav, Siddhesh Lad, Krunal Pandya, Hardik Pandya, Kieron Pollard, Ben Cutting, Mayank Markande, Jasprit Bumrah, Barinder Sran, Rasikh Dar, Mitchell McClenaghan, Lasith Malinga, Jason Behrendorff, Anukul Roy, Anmolpreet Singh, Yuvraj Singh, Pankaj Jaiswal, Aditya Tare, Rahul Chahar, Adam Milne, Jayant Yadav. They have received a huge setback as pace trio of Adam Milne, Jason Behrendorff and Lasith Malinga are not available. Milne is ruled out of season while Behrendorff and Malinga will join later on. Rohit Sharma will open the innings along with Evin Lewis or Quinton De Kock. Suryakumar Yadav and Ishan Kishan will follow them. Pandya Brothers and Ben Cutting will play the role of an allrounder. Jasprit Bumrah will lead the pace attack along with M McClenaghan, Hardik Pandya and Ben Cutting while Mayank Markande and Krunal Pandya will be the key spinners. Anyone among Kieron Pollard or Yuvraj Singh can play. Chances of Pollard are more. There is confusion between overseas players as they have a wide option of top-class players available for selection. Colin Ingram looks to be confirmed in middle order while Sherfane Rutherford can slot in as a finisher. The team can either play both Trent Boult and Rabada or can play Sandeep Lamichhane. Keemo Paul and Colin Munro are unlikely to play. Axar Patel will play the role of an allrounder. Axar Patel and Amit Mishra will lead the spin attack while Kagiso Rabada, Trent Boult and Ishant Sharma/H Patel will be the key pacers. The team will either play Ishant Sharma or their last year’s find Harshal Patel. Even Avesh Khan can get a chance. H Pandya, Y Singh, K Pollard, Q de Kock, S Yadav, R Sharma, K Pandya, J Bumrah, B Cutting, M McClenaghan, R Salam. Shikhar Dhawan, P Shaw, S Iyer (c), Colin Ingram, Rishabh Pant (wk), Axar Patel, Keemo Paul, K Rabada, Trent Boult, Ishant Sharma, R Tewatia. C and Vc Choices: Rohit Sharma, S Dhawan, R Pant, Shreyas Iyer, Suryakumar Yadav, H Pandya. 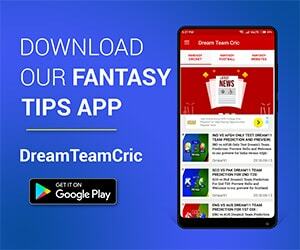 If you liked MI vs DC Dream11 prediction, then follow us on Twitter for Latest Cricket News.